Exercise can improve your muscle AND your memory! Do you find you are more forgetful lately? Are so called ‘senior moments’ becoming a daily occurrence? While most people know exercise leads to physical fitness, scientific research shows that exercise and better cognitive function go hand in hand as well. Without adequate physical activity, you are prone to cardiovascular conditions and elevated blood pressure. The tiny blood vessels in your brain are susceptible to different changes in your blood pressure. These nerves can be easily damaged by the blood pressure fluctuations. When vascular damage takes place in your brain, it results in different structural changes and damages that lead to reduced cognitive function. However, by exercising regularly, you are able to mitigate the high blood pressure and fluctuations associated with it. When your blood pressure improves, your vascular health improves and a better vascular health is related to better cognitive and brain health. Therefore, by incorporating exercise into your daily routine, you can sharpen the mind and improve memory and reasoning. Think memory loss and degeneration are an inevitable part of aging? Not so experts say. Research studies consistently show that being physically active helps alleviate the effects of aging on both, your body and your mind. According to recent studies it’s the combination of passing age and risk factors such as sedentary lifestyle, high diastolic blood pressure and poor cardiovascular fitness, that are tied to actual reduction in brain tissue volume. The brain can literally shrink. 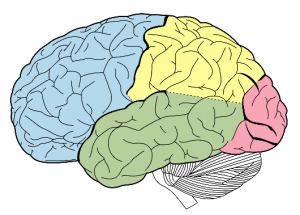 But deterioration in grey and white matter can be minimized with physical exercise. And the areas of the brain that are influenced the most by exercise are those that show the most age related cognitive decline. According to University of Pittsburg’s Kirk Erickson PH.D, while the hippocampus shrinks in late adulthood, leading to impaired memory and increased risk for dementia, exercise training increased hippocampal volume by 2%, effectively reversing age-related loss. Moreover, a study published in Psychological Science goes deeper showing that a mix of aerobic and strength training improves cognitive function better than either of the two by itself . Think it’s too late to make a difference? Another study by the University of Illinois proves even people who don’t begin exercising until late in life “show pretty dramatic benefits.” It’s never too late or too early to begin and the effects are even greater the younger you start. Research proves that exercise and cognitive function are directly proportional. The better your health and fitness , the better your cognitive health. It is imperative that you make regular exercise a part of your lifestyle to maintain and even improve your mental health and clarity. Exercise is crucial to maintaining cognitive function. If you’re only relying on crossword puzzles and word games to steer clear of mental decline and improve your brain power, you’re missing a big piece of the puzzle. If you’re unsure what to do or how to start, call today for your complimentary strategy session to learn what Thrive! With 2Bfit can do for your body and your mind.